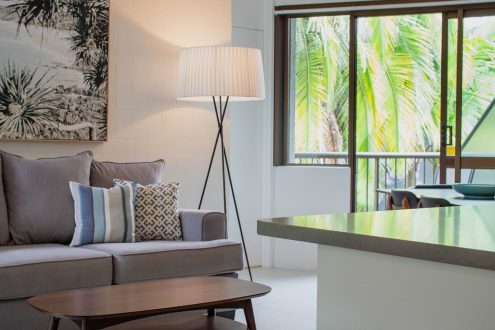 Ocean Breeze Resort features 69 self-contained apartments with a choice of one, two and three bedroom apartments set among lush tropical gardens. Centrally located on Hastings Street our spacious apartments include kitchen and laundry facilities, cable television and a private balcony or courtyard being ideal for couples, families or small groups of friends. 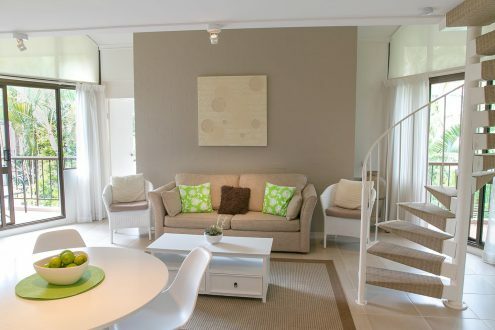 Note: All of our apartments are individually owned with variations in configuration, fixtures and furnishings. 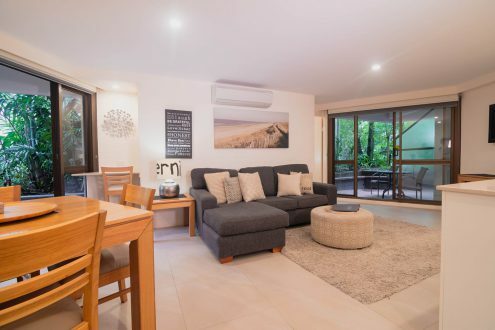 We will happily accept requests for specific apartments and where possible will do our best with the allocation, however we are not in a position to guarantee them. Our one bedroom standard apartments are located on the ground floor and are fully self contained with kitchen and laundry facilities. 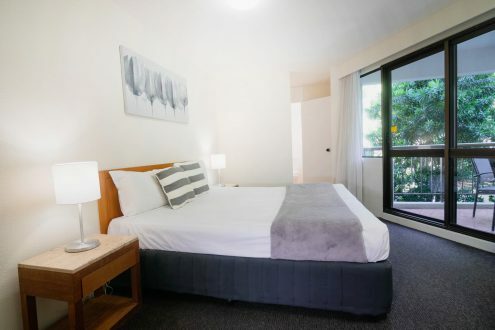 Our one bedroom superior apartments are located on the ground floor and are fully self-contained with kitchen and laundry facilities. Our standard two bedroom apartments offer a generous open plan kitchen, living and dining area with two ensuited bedrooms, private balcony and laundry facilities. 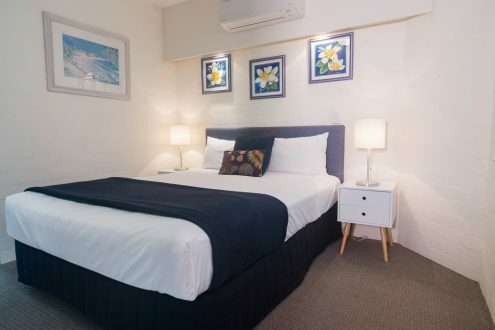 Our superior two bedroom apartments offer two ensuited bedrooms and are fully self contained with kitchen and laundry facilities. Our modern three bedroom apartments offer spacious living with a generous open plan kitchen, lounge and dining area. Each of the three bedrooms comprise their own ensuite with the “loft” style master bedroom separated by an internal staircase.